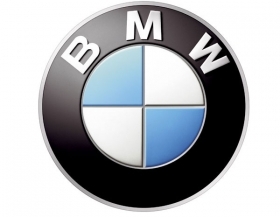 BERLIN (Bloomberg) -- BMW AG secured funds from the U.S. Federal Reserve during the financial crisis to boost liquidity as other sources dried up. BMW's largest transaction under the Fed's Commercial Paper Funding Facility was for $3.62 billion on Jan. 30, 2009, according to data released yesterday. BMW made “intermittent” use of the Fed program for refinancing at a time when other forms of credit were frozen, Mathias Schmidt, a spokesman for the Munich-based automaker, said today. The maker of BMW, Mini, and Rolls-Royce autos spent $750 million to expand its factory in South Carolina to assemble the X3 medium SUV. The plant, which also makes the X5 and X6 SUVs, exports vehicles to more than 120 countries, including Germany and China. Last year, the U.S. was BMW's second-largest market after Germany, accounting for 19 percent of deliveries. BMW recorded an adjusted free cash flow of nearly 1.5 billion euros ($2 billion) last year, as net income declined to 204 million euros, its lowest profit in a decade.